3. 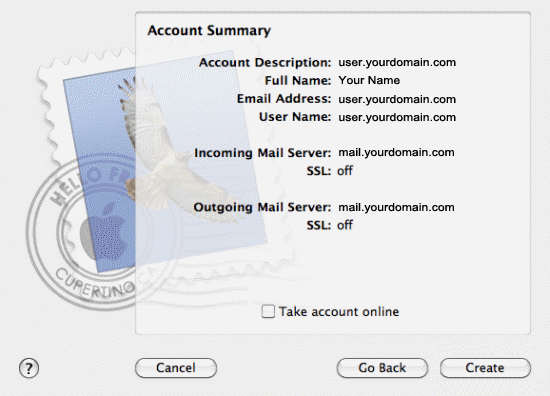 Fill in your Full Name, Email Address and Password. 4. 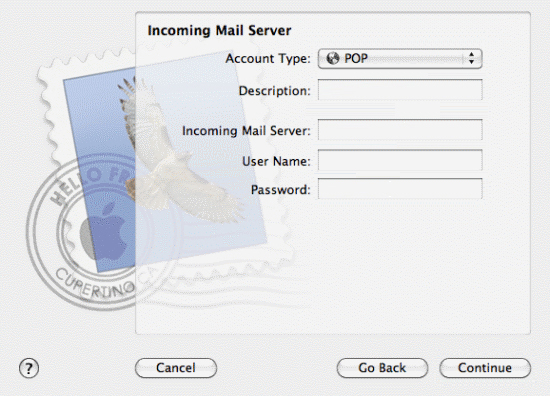 Now fill in the Incoming Mail Server details. If you need help with these, there's more detail underneath the screenshot. 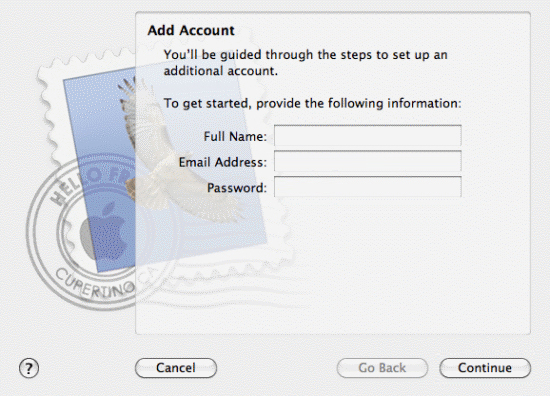 User Name & Password: Enter the username and password for the email address you're setting up. 5. You may see a warning screen like the one below, click Continue. 6. 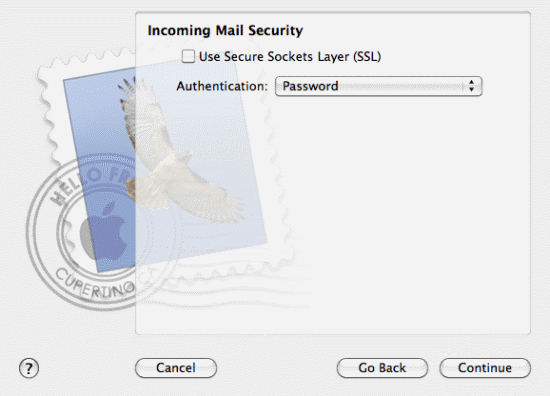 Make sure Use Secure Sockets Layer (SSL) is unticked, Authentication is set to Password and click Continue. 7. 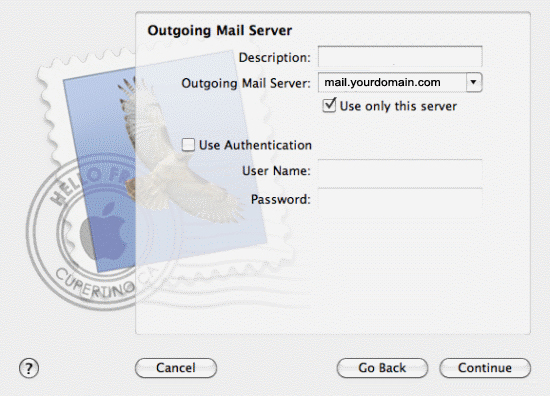 Now fill in the Outgoing Mail Server details. If you need help with these, there's more detail underneath the screenshot. If you want to use authentication when sending mail (you don't have to), tick Use Authentication and fill in your Account username and password. When you've done this click Continue. 8. 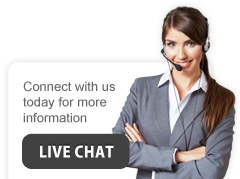 Make sure Use Secure Sockets Layer (SSL) is unticked, Authentication is set to None and click Continue. 9. You'll see a summary of the details you've just entered. 10. That's all you need to do. Click Get Mail and your email will be downloaded to your Inbox.